INVICTA KENT MEDIA: PICS SHOWS;Nannette Fraser, Brian Frasers wife leaves court today with friends at Maidstone Crown Court. Today 13/2/13,after hearing her husbands not guilty verdict Trial of Brian Fraser Accused of Attempted Murder of Louise Leggett. 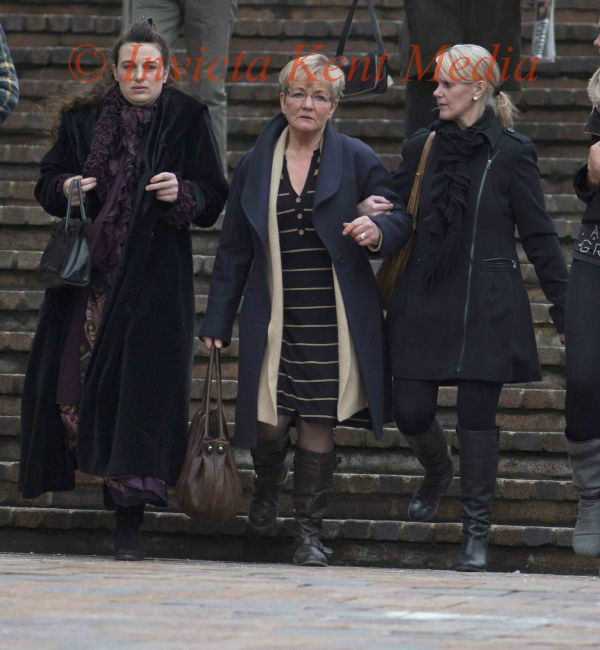 PICS SHOWS;Nannette Fraser, Brian Frasers wife leaves court today with friends at Maidstone Crown Court. Today 13/2/13,after hearing her husbands not guilty verdict Trial of Brian Fraser Accused of Attempted Murder of Louise Leggett.